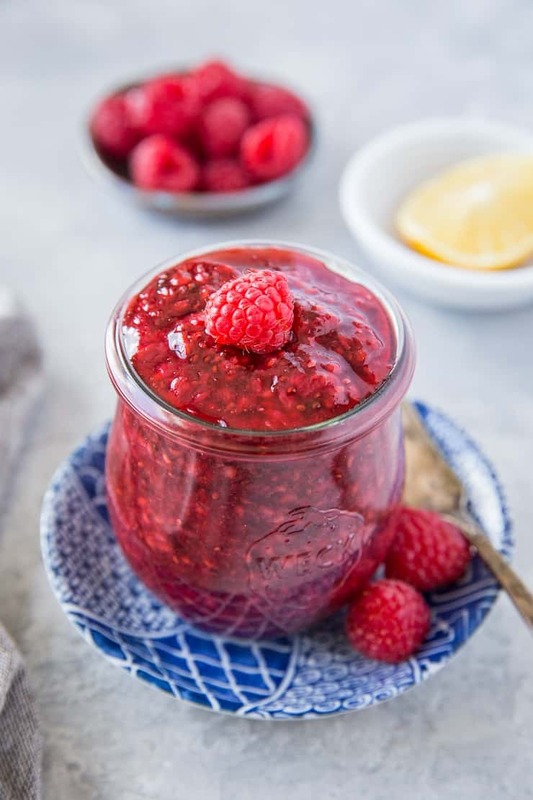 Tangy, sweet, healthy raspberry chia jam is marvelous for spreading on your morning toast! This super easy recipe only requires a few basic ingredients and no canning experience is necessary! My favorite breakfast when I was in high school was – get this – whole wheat toast (the wheatier and seedier the better) with a generous slather of salted butter and raspberry jam. And a ginormous berry smoothie to wash it down. It goes without saying that I don’t usually eat store-bought jam anymore, and truly enjoy making it myself at home! Don’t be fooled…I am not a canning expert by any stretch of the imagination. 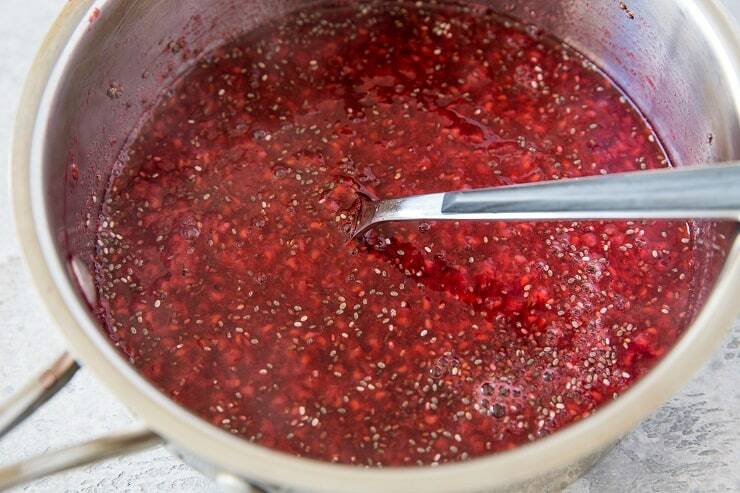 My jam skills are minimal – I have never used gelatin or pectin jam making…only chia seeds! This methodology is goof-proof and requires hardly any time at all. Because this jam takes so very little time to prepare, I also keep my batches of jam fairly small. 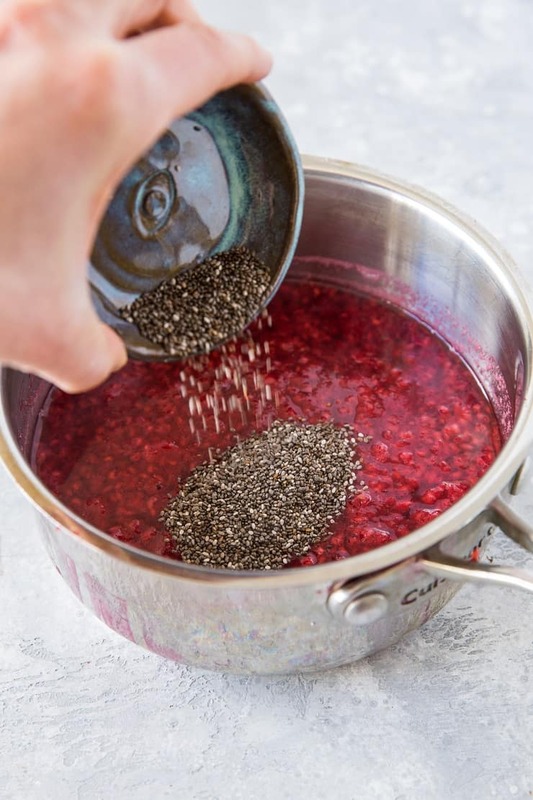 If you’re unfamiliar with chia seeds, the quick run down is they absorb over 10 times their weight in liquid, creating a gelatinous substance around them as they soak. This makes them ideal for Chia Seed Pudding and in this case, jam! 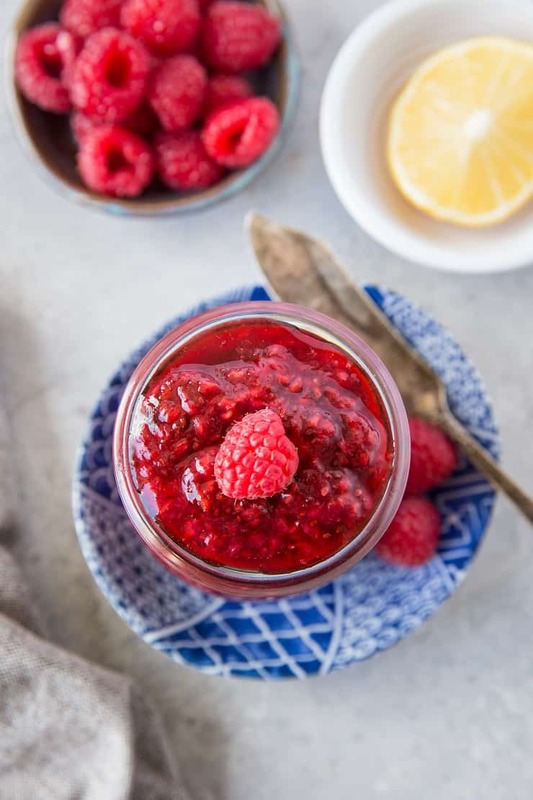 Using just berries, chia seeds, and pure maple syrup, you can make a squeaky clean, vibrant and delicious jam. You can incorporate the jam into Paleo and Vegan Crumb Bars, dressings or marinades, or simply smear it on toast or banana bread for a nice little treat. Add the raspberries, pure maple syrup, water, and lemon juice to a small saucepan. Bring to a full boil. Reduce the heat to a controlled boil (so that the raspberry juice doesn’t splatter all about!) and cook for 10 to 15 minutes, until the raspberries have softened and lots shape. Mash the raspberries using a fork. Add the chia seeds, stir well, and continue cooking until the mixture thickens, about 8 to 10 minutes. 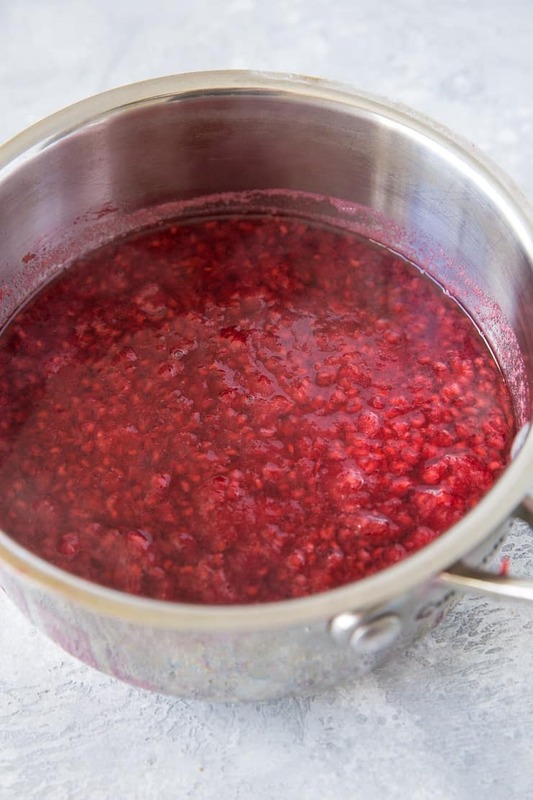 Remove the saucepan from the heat and allow the raspberry mixture to cool 10 minutes. Add the pure vanilla extract and sea salt. Transfer jam to a jar and refrigerate at least 2 hours before using. Keep the jam in a sealed jar for up to 3 weeks. Replace the pure maple syrup with coconut palm nectar or a zero-calorie sweetener like xylitol or erythritol. Omit the pure vanilla extract, or replace it with almond extract. 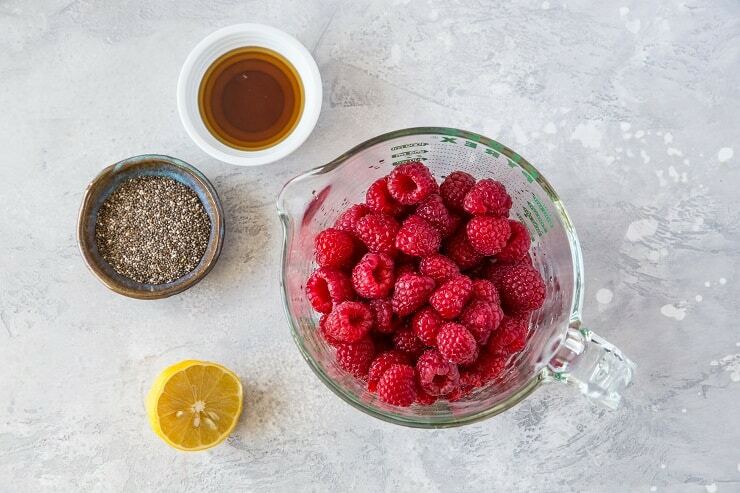 If you make Raspberry Chia Jam, please feel free to share a photo and tag @TheRoastedRoot on Instagram! 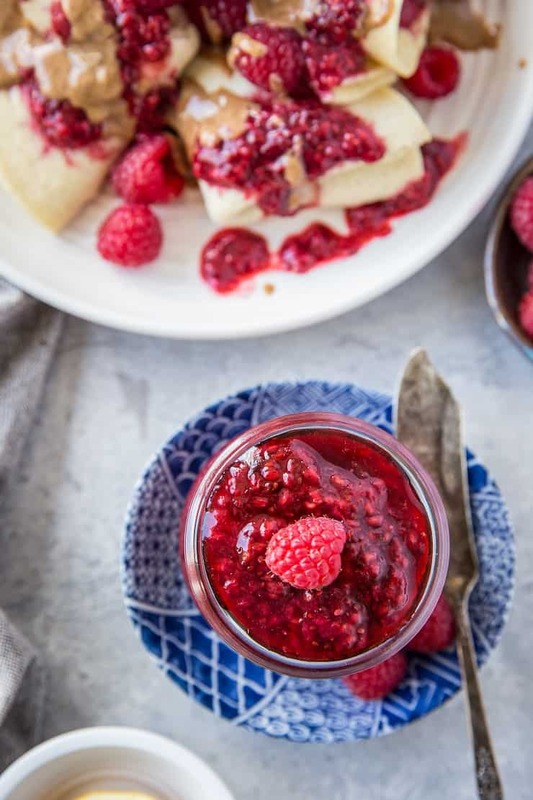 Let this raspberry bliss be your new jam! 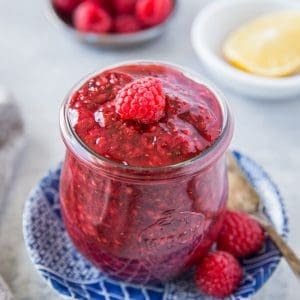 Easy to make raspberry chia jam with only 3 ingredients. No canning experience required! Store in a sealed jar for up to 3 weeks.